The vast number of brands and models of televisions and set-top boxes, as well as several versions of HbbTV, are setting higher requirements for testing and optimization of HbbTV applications and interactive advertisements. Hence, during the development, is indispensable to have the possibility of their regular launching and testing on the end devices. Yet testing of HbbTV applications and interactive advertisements has never been simpler. We have dedicated many long weeks to create a device that will be ultimately simple to setup and control and that will allow the most efficient testing on all types of HbbTV televisions & set-top boxes – with no exceptions. After plugging into the power supply and connecting the antenna, the HbbTV Playout Kit starts broadcasting a local DVB-T multiplex and allows launching and fine-tuning HbbTV applications on the end devices without any limitations and without the necessity to built a costly infrastructure. The HbbTV Playout Kit enables testing applications on all types of TVs and set-top boxes without the need to launch them into the actual operation. 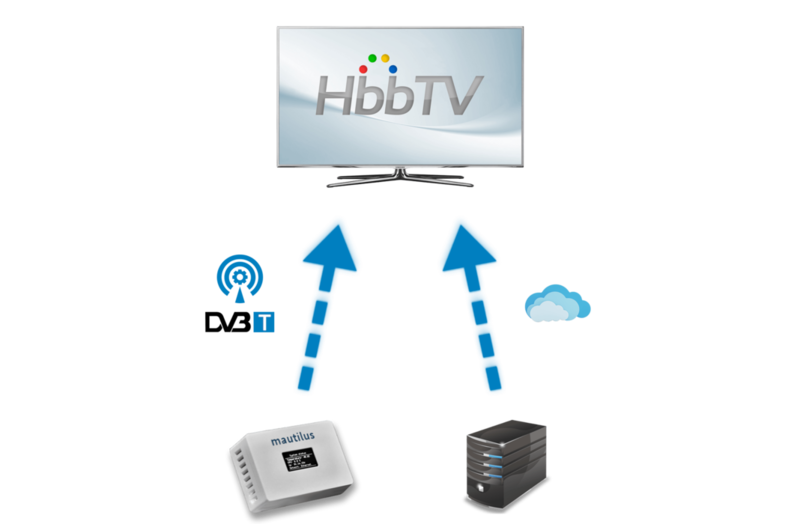 Its DVB-T broadcasting contains HbbTV signaling that is linking to the tested application. After tuning into the broadcasting channel on your television or set-top box, HbbTV application launches automatically and can be tested immediately. Our specialists will also customize the configuration of the test device according to your needs and, if necessary, help you with any questions. One box. All TVs & set-top boxes. Limitless HbbTV testing. Our HbbTV Playout Kit allows testing HbbTV apps on all TVs and set-top boxes without the need to launch them into regular broadcasting so you can keep enhancing your applications and interactive advertisements as long as you wish to and with no limitations.